The approximately 220,000 gross square foot George Granger Brown Memorial Laboratories (G. G. Brown) was constructed in 1958 and houses the Department of Mechanical Engineering, which has evolved to include emerging research areas such as bio-systems, energy systems, and nano-systems. 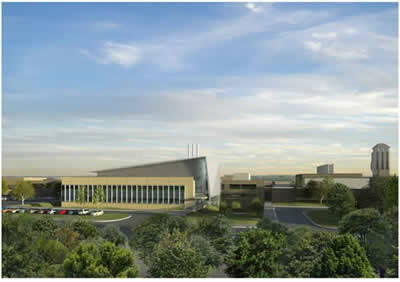 The College of Engineering proposes an approximately 62,500 gross square foot addition to G. G. Brown. The addition will house research laboratories and faculty and graduate student offices to support these emerging research endeavors, as well as spaces that will enhance the ability to realize ultra-high-resolution measurements at molecular and atomic scales.